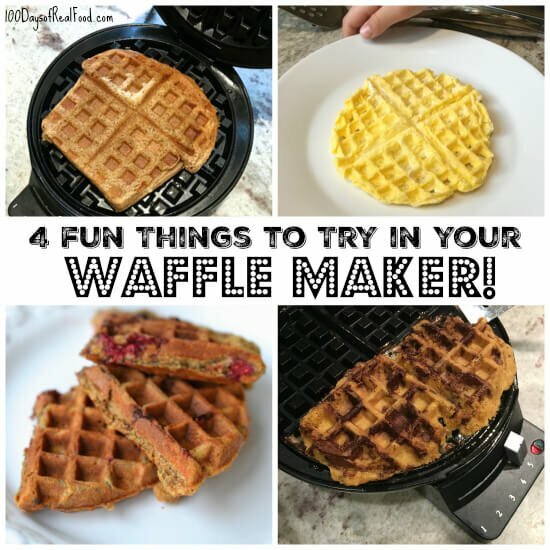 Home » Blog » 4 Fun Things to Try in Your Waffle Maker! 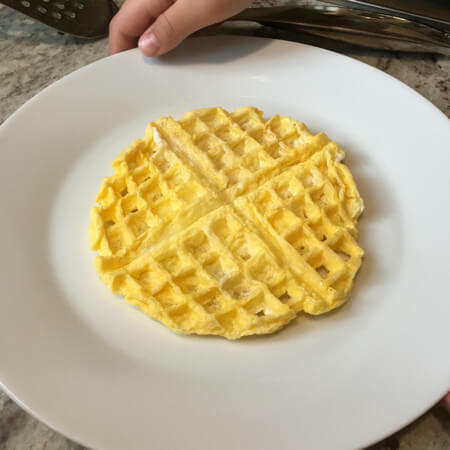 There’s nothing better than reinventing old favorites and that’s exactly what my 9-year-old and I did recently with our waffle maker! 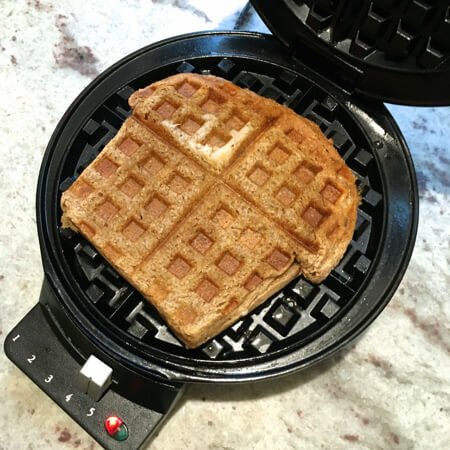 A waffle maker is a great first appliance for big kids to use, so this is a good and easy way to get them excited about cooking in the kitchen. (It would also make a fabulous last minute holiday gift for a budding chef in your life – with these ideas included, of course!). Note: We greased the waffle iron with a little butter before putting all of these items in there. If I used a recipe on my blog then the picture links to it. 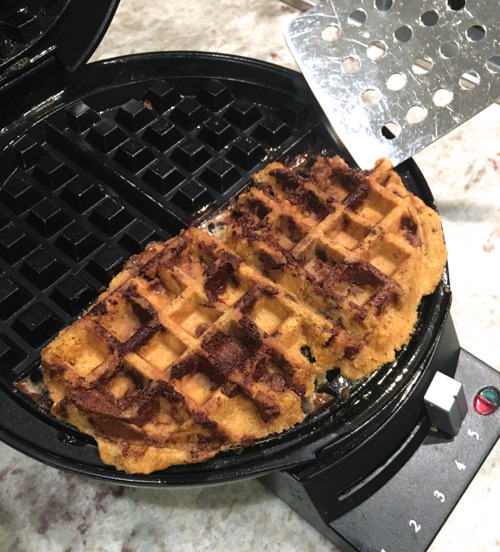 We had fun experimenting with cooking different foods in the waffle maker, but we also had a few fails. As much as we wanted mashed potatoes or frozen hash browns to work, they just did not! And they did leave us with a mess, so I would not recommend trying those. What about making potato lattes or hash browns from scratch? Mashed potatoes will work but you need to mix in a little flour and cheese. You also need to make sure that you DO NOT OPEN THE WAFFLE MAKER until it beeps. You need to give it time to all meld together. Would also like to hear of what you tried that absolutely did not work. French toast is delicious cooked in the waffle maker. My kids like them cut into sticks. You should check out the book “Will It Waffle?” It has a lot of fun recipes for a waffle maker! I really need now a Waffle maker and try these. Looks delicious and very easy to make. Just perfect for the breakfast with family. I have TWO waffle irons, and I can’t even remember the last time I’ve used them!! I have two weeks off at Christmas so I’m making it a point to make a ton of the recipes in my ‘drafts’ folder so I can finally post them on the Blog! I’ve actually tried the grilled cheese! The eggs are an interesting idea – and the cookie batter? I’m so curious now to see how it turns out! This is the recipe for mashed potatoes my sister uses. OMG, leftover stuffing is DIVINE in the waffle maker – especially if pour gravy all over it like you would syrup for a regular waffle. So good!!!! one thought regarding additional waffle iron recipes is an monte cristo sandwich, kind of a cross between your grill cheese and scrambled egg recipes here with some add turkey and other ingredients, but I have to say that the scrambled egg recipe is genius! Never would have though to that, pretty close second is the cookie dough, thank you for these! I love doing sweet potatoes and omelettes in the waffle iron. I have a son who HATES eggs and doing this almost got him! 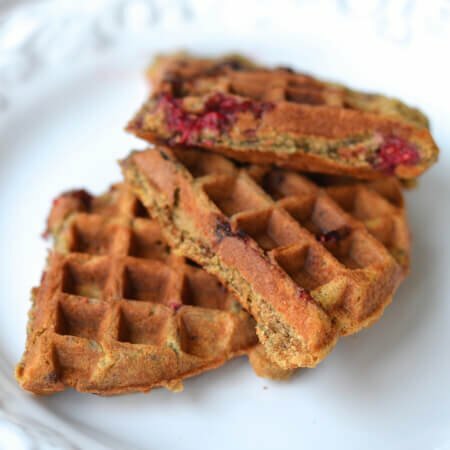 I make cornbread waffles….and then serve them with ranch beans and cheese…pretty processed still, would love to develop a real food version! I love to make omelets in my waffle iron. My kids loved egg omelets in the breakfast. Your recipe is brilliant and the way you describes is very easy. Definitely, I am to prepare every item using my waffle maker. We put cornbread dressing from Thanksgiving meal in our waffle maker! Made it a little crunchy and then spread fresh cranberry sauce on it! Delicious!